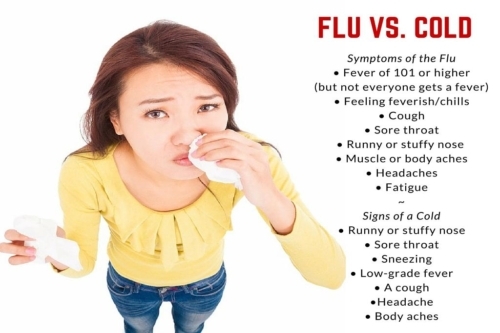 Home » General Health » Flu vs a Cold: What’s the Difference? Getting sick is just about one of the worst things that can ruin a perfectly good week, but knowing the difference between the flu vs a cold can help ease that moment of dread once you realize that something is invading your body. But how do you tell the difference between a cold vs the flu? Many people use both words interchangeably, but that’s wrong because while these illnesses share some symptoms, they are in fact quite different. The flu will knock you out suddenly like a fighter in a boxing ring, and you may not get back up for seven days. A cold comes on progressively over a few days, and will drag you down, drain you of energy, make you sneeze, give you a runny nose that might get raw, and make you feel generally irritated. It takes you down a peg, but for the most part you can manage your daily routine. The flu makes you feel much worse, though how much worse depends on how severe the symptoms are; the flu can land you in the hospital, after all. A cold gives you something of an early warning that it’s coming, but by the time you know you have the flu, you’ll have headed home to drop into bed with the covers tucked under your chin. 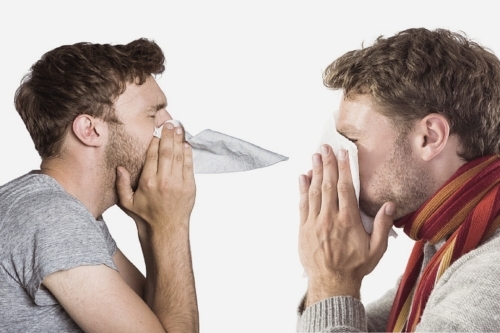 With this article, we will help you to tell the cold and flu symptoms (1) apart, including a symptoms chart for the cold vs the flu. Influenza, commonly referred to as the flu, is a viral infection caused by the influenza virus (A or B). It’s a respiratory illness that affects the chest. The flu is contagious, so it can and does spread rapidly from person to person through contact, or by inhaling airborne particles, by way of coughing and sneezing. This is why it’s important to wash our hands frequently and avoid people we know have the flu. If you have the flu, do everyone a favor and stay home until you are no longer contagious (up to seven days after symptoms have emerged). Some people experience vomiting and diarrhea, but this is more common with children. Complications from the flu include pneumonia, sinus and ear infections, and bronchitis. If you still aren’t feeling well after two weeks, you should visit your doctor to rule out the latter possibilities. Symptoms of a cold are normally seen above the neck. Rhinovirus and adenovirus are usually the causes of the common cold, but there are more than 200 other viruses that can cause it. You will feel run down as opposed to run over. This is a major difference to note when it comes to determining cold vs flu symptoms. The flu will bring on extreme fatigue; just moving will be a chore. There are no medications—either over-the-counter or prescribed by a doctor—that will “treat” the common cold or flu (3). You won’t be prescribed antibiotics because antibiotics are for bacterial infections, not viral infections. If complications from the flu result and you end up with an ear infection or pneumonia, then those will be treated with antibiotics. But it isn’t the flu being treated with antibiotics, it’s the complication—this is an important distinction many people are confused by. Viral infections, as awful as it is to hear, simply need to run their course, which can last up to 14 days with the flu and seven days with a cold. If a sinus infection develops, then antibiotics might be prescribed to clear up the resulting infection, but as with the flu it’s not being prescribed to treat the cold, only the by-product of that cold. For the flu, there are prescription-only anti-viral medications, Tamiflu and Relenza, that can be administered, but the catch is they have to be taken within 48 hours of the symptoms presenting themselves. If you notice it in time and manage to see a doctor, you might be lucky enough to take advantage of these prescriptions. Note they don’t cure the flu; they will only minimize its effects. But everyone responds differently. For a cold, over-the-counter medications to relieve runny nose, sneezing, itchy eyes, and low-grade fever, plus home remedies, are the best options. The fact is, nothing is going to make it go away, and the same with the flu; instead, what you’re looking for is something to help alleviate the symptoms while the virus runs its course. 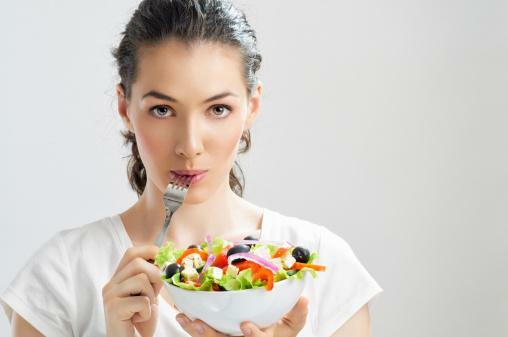 There are also homeopathic remedies you can take to shorten the duration. Visit your health food store and talk to someone there for recommendations. Drink hot water, honey, and lemon for both colds and flus. The honey will soothe a sore throat and the lemon will help fight off infections because it’s high in vitamin C.
Sometimes getting a cold or flu (4) is inevitable, despite your best efforts to avoid them, but following the simple guidelines below can improve your chances of dodging those viral bullets. Shaking hands with someone with a cold, or touching something they have touched, will more effectively transfer the virus than if they had coughed on you. For the sake of your family, friends, and co-workers, wash your hands frequently when you’re around someone with a cold. This will reduce your chances of getting it, and will benefit those around you. Rubbing your face and eyes with dirty hands that may be covered in germs is a surefire way to get a cold. Your eyes have liquid in them, and are a perfect entry point for germs to invade the body. Keep your hands away from your face. 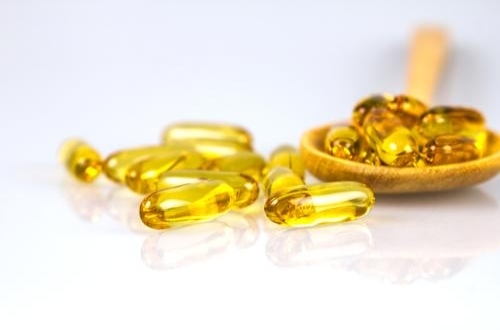 This vitamin helps the immune system respond to viruses and bacteria. Vitamin C can help boost your immune system. How much should you take? Well, the honest yet odd answer is that you take as much as you can tolerate. For some people this can be as little as 1,500 milligrams a day; for others, it can be as much as 10,000 milligrams a day. 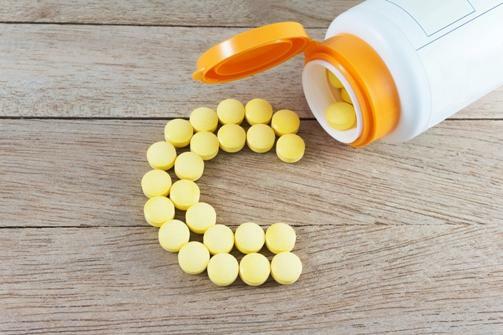 Vitamin C in large doses won’t hurt you; your body will simply remove what it doesn’t need via urine and will let you know when you’ve had too much. Basically, if diarrhea kicks in, you’ve hit your limit, so back off. When it comes to the flu vs a cold, the best things to do are to drink plenty of fluids, get plenty of rest, eat healthy food, and don’t drink milk. Milk aids in mucus production and that’s the last thing you want to do when you have a cold.